I will be in San Francisco for three whole days in October! I'm so excited! The first time I visited San Francisco was over two years ago. My husband and I tried to do as many touristy things as possible, since it was a first visit for both of us. We visited Pier 39, Fisherman's Wharf, Ghiradelli Square, Alcatraz, Lombard Street, Chinatown, and the Museum of Modern Art. 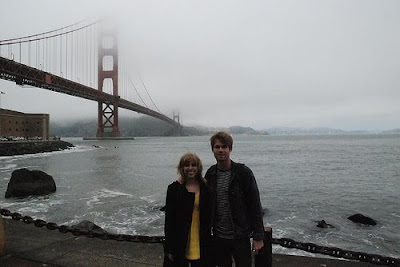 Our favorite event was renting bikes and riding across the Golden Gate Bridge. 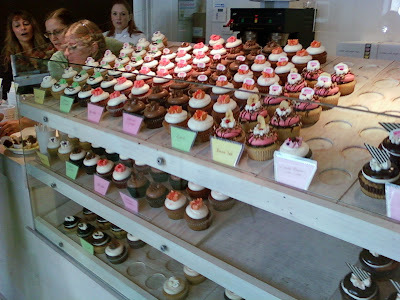 Although I have always had a love for cupcakes, I hadn't yet started my cupcake blog when I last visited San Francisco, so I didn't take the opportunity to visit any cupcakes shops. This time will be different. I have started a list of places that I want to eat cupcakes at. Please send me suggestions of cupcake shops to visit. I don't want to miss any of your favorites! "The first 25 people to whisper "Elvis" at each Sprinkles today receive a free King Cupcake -- banana cupcake topped with peanut butter frosting." It's not unusual for Sprinkles to tweet about free cupcakes (because they do almost every day), but I've never heard about the King Cupcake before. I checked their website and couldn't find anything about it under flavors or calendar. I hope they keep this flavor because I really want to try it! You remember Bakerella's cupcake bites that I love to make? Well, Bakerella is back with a new twist for autumn -- Pumpkin Pie Bites! Mini desserts are so perfect, especially when you don't feel like eating a whole slice of pie. 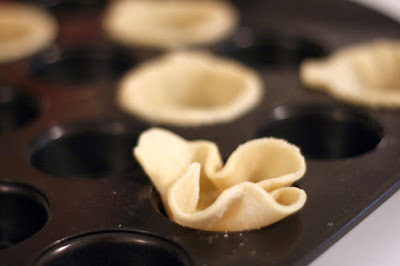 How to make these sweet holiday treats: Bakerella uses ready to roll refrigerated pie crust. Using pre-made pie crust makes this recipe so much easier to bake. The filling for these pies is found in her post. 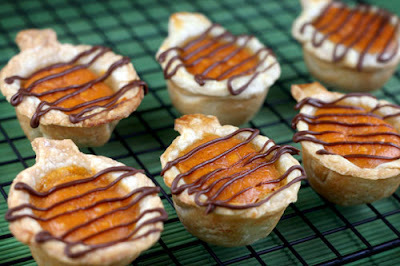 Bakerella bakes these mini pies in a mini cupcake baking tin. 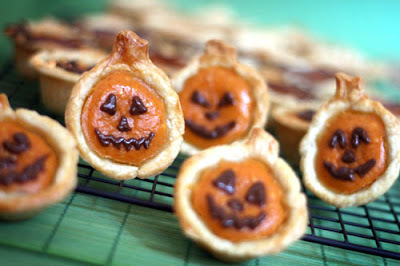 You can decorate for Halloween (see Jack-o-lantern pumpkins above) or Thanksgiving (see mini pumpkin pies below). 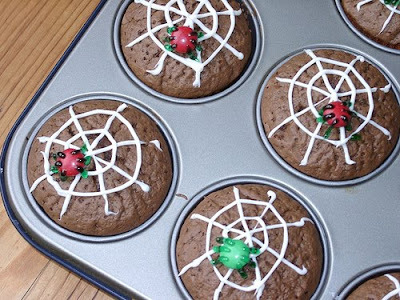 Can't wait to bake these for my family! Summer just ended a few days ago, yet I'm ready to transition into autumn and winter. The only problem is this awful hot weather. It was 100 degrees when I left my Chino office on Tuesday. Ugh! I can pretend it's cold outside. I've already started eating soup, daydreaming about snowboarding in Mammoth, and thinking about my Halloween costume. I can't wait! 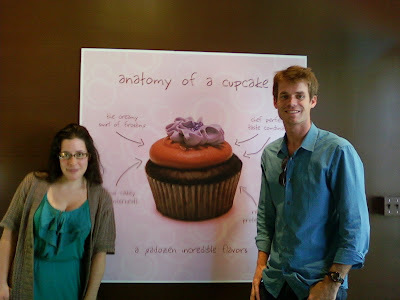 Last year I reviewed SweetSpot Baker's Workshop at the Irvine Spectrum. 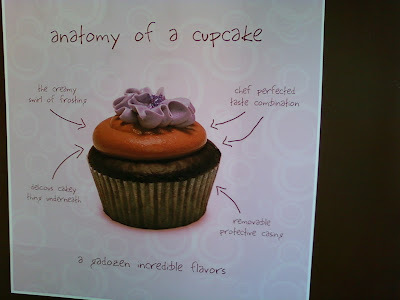 What made this cupcakery special was the make-your-own-cupcake concept. 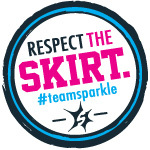 I have yet to see another cupcake shop attempt this. Springwise recently featured Sweet Flour, a Canadian made-to-order cookie bake shop. Sweet Flour has a similar idea of SweetSpot and even Cold Stone Creamery: you, the customer, get to design your own cookie. First, you choose a gourmet dough (original, peanut butter, oatmeal), then you add your mix-ins (chocolate chips, peanut butter pieces, pistachios, sunflower seeds, mini pretzels, etc). Last, using their signature baking process, your customized cookie is baked and ready in two minutes! Also available for sale: a cookie sandwich. Crispy sandwich cookies with indulgent spread in between. I'll try the salted caramel spread, please! Custom cookies are $2.50 and sandwich cookies are $2.25. Not sure if those are Canadian dollars or US dollars, either way, sounds like a great deal to me! This may come as a shock, but I indulge in other desserts besides cupcakes. Gasp! I know that sounds crazy, but it's true. I feel justified enjoying cake because it's really just a giant cupcake. 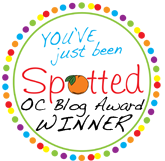 As you might remember, last month I attended the "You've Been Just Spotted" OC Blog Awards (I was nominated). Although, I didn't win my category, I was introduced to a blog that won the Editor's Choice award. 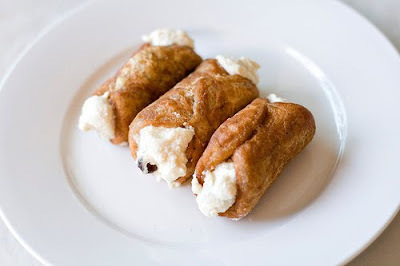 Check out Picky Palate and you will agree that it is not just another recipe blog. Of course, I have been drooling over the dessert recipes, such as this Ultimate Chocolate Layered Reese's Peanut Butter Cup Birthday Cake, along with the Black Bottomed Mini Caramel Pumpkin Cheesecake Bites. Yummy! Good thing the holiday season is creeping up because I am armed with recipes to wow my family. Jolt: chocolate cake with bake in chocolate chips, espresso-flavored cream cheese filling, frosted with chocolate buttercream and chocolate ganache, and topped with chocolate chips and cocoa powder. 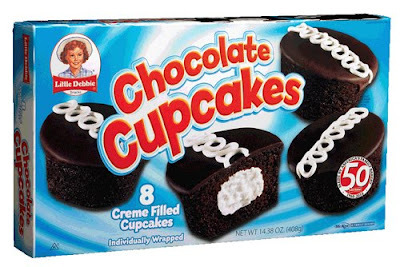 The College Care cupcake six-pack is available from any Crumbs location and at crumbs.com. The six-pack is $22.50. Halloween is just around the corner. Now, that's pretty scary! It's not too early to start planning your holiday parties. Just received this email from Meringue Bake Shop. Cupcakes at any event make it that more fun! But add specially decorated cupcakes and you've got a great centerpiece and conversation starter. Choose from any of our flavors to create your custom creation, including our limited time seasonal flavor The Great Pumpkin - pumpkin cupcake filled with caramel and topped with cream cheese buttercream. 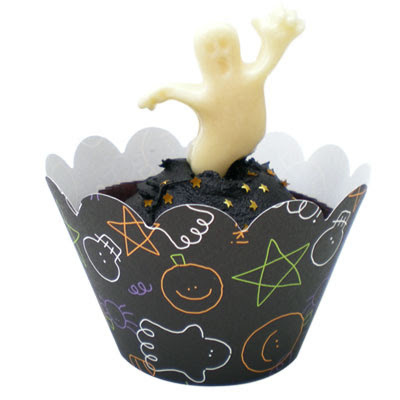 themed cupcake sleeves and liners! 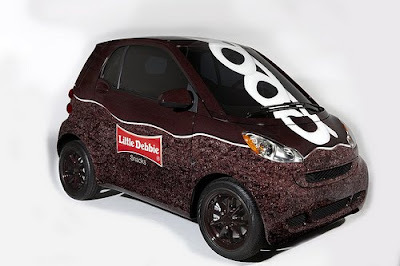 to discuss other ideas and flavor combinations and to place your order. Meringue Bake Shop is a made-to-order cupcake cupcakery based out of Orange County. 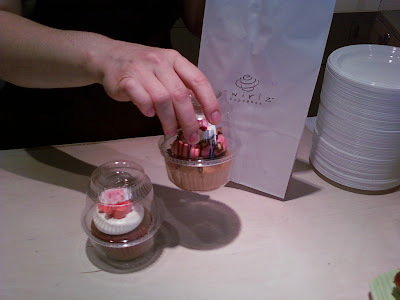 I reviewed Meringue's cupcakes when they were being sold at Bliss Yogurt in Orange. I love Meringue's flavors because they are so unique compared to the normal vanilla, red velvet, or chocolate. Which flavors look tastiest to you? According to Cupcakes Take the Cake (via Grub Street Chicago), Chiacgo-based More Cupcakes had created the most expensive cupcake ever -- the $75 White Truffle Cupcake! This cupcake is made with white truffle-infused cake and is topped with bacon frosting and shaved fresh white truffles. Who would buy this? It doesn't even sound good. Last week my husband and I celebrated our four-year anniversary! Problem: my husband was in Chicago for business. I knew he would be gone during our anniversary so I made him promise that he would bring me back a cupcake. And just my luck, Cupcakes Take the Cake was hosting an unofficial cupcake summit in Chicago during the same weekend my husband was in Chicago. How did he get all of the cupcake luck this month? After attending a Cubs game at the famous Wrigley field, Skyler had about an hour of free time before he had to catch his flight home. Being the sweet husband that he is, he stopped by Swirlz Cupcakes (only two miles from Wrigley field) to get some cupcakes to bring home to me. 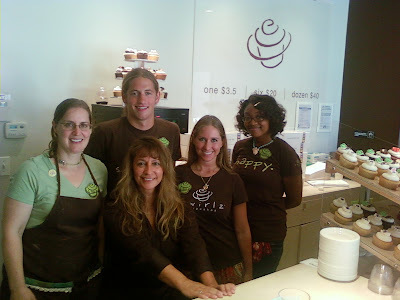 Swirlz was giving away free cupcakes to celebrate their three-year anniversary and Rachel's (from CTTC) visit. My husband sampled almost every flavor! He had Snickers, Chocolate Peanut Butter Truffle, Vanilla on Chocolate (vegan gluten-free), Carrot, Chocolate Chip (gluten-free), Chocolate Peanut Butter (vegan gluten-free), and Red Velvet. While vegan or gluten-free cupcakes are not usually his top choice in cupcake flavors, Skyler actually thought those cupcakes were some of his favorites. Making cupcakes with non-traditional ingredients is no easy task and bakeries that can pull it off are few and far between. Skyler got a chance to talk with one of the owners, Pam. She gave him the low-down about their cupcakes. Swirlz Cupcakes uses a whipped Italian buttercream for the frosting on their cupcakes. They also had special toppers on their cupcakes in honor of Rachel's visit. The toppers were pieces of white chocolate with the Cupcakes Take the Cake logo. Skyler called me on his way to the airport to tell me that he made it to Swirlz Cupcakes and told me about the cupcakes and the flavors he tried. He then told me that he met someone special. I couldn't imagine who he would have met, except....Rachel from Cupcakes Take the Cake! I couldn't believe it! He has the photo evidence to prove it. Just like he promised, Skyler stepped out of the airport carrying two cupcakes!! I can't believe how well they survived the flight across the country (the containers were perfect)! I got to try Banana Split and Red Velvet. The Banana Split was a vanilla cupcake filled with banana cream, layered with bittersweet chocolate ganache, topped with strawberry buttercream, toasted pecans, and a cherry-flavored flower. I'm really into banana in cupcakes lately. This cupcake definitely held up the trend, especially paired with the chocolate ganache. Yummy! The Red Velvet cake was good. Like I mentioned before, it had a whipped Italian cream cheese buttercream frosting. Whipped frosting is not my favorite (I like the heavy, creamy kind), but this frosting was good. 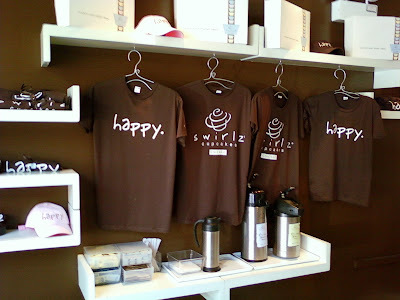 Overall, Swirlz Cupcakes tastes and sounds like a great cupcakery! Skyler said the staff was super nice and he really enjoyed his visit. I especially like that they have so many choices of vegan and gluten-free cupcakes. 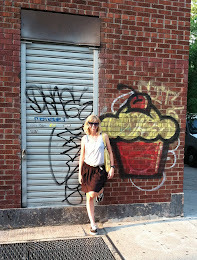 You can also check out Rachel's photos of her visit and interview of Swirlz head pastry chef on Cupcakes Take the Cake. I couldn't have said it better! Stay tuned to see where this poster is from. I love to eat! It's not a secret. So the Orange International Street Fair is one of my favorite weekends of the entire year. Imagine the Orange County Fair without the rides, games, and exhibits. All that's left is food. Food, glorious food! Cupcakes only make it that much better! While many of the stores in the Orange Circle are closed during the street fair, The Perfect Circle Cupcakery was open and selling their Babycakes. I stopped by on Saturday afternoon to pick up a few Babycakes. I chose Red Velvet (because I already knew it would be great) and Cookies & Cream (a new flavor for me). Both were delicious! 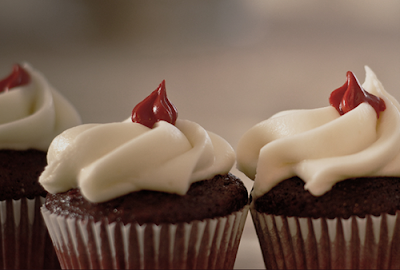 The cream cheese frosting on the Red Velvet is one of my favorite cream cheese frostings I have ever eaten. I love having a local cupcakery! What do I think about restaurants and Twitter? Check me out in an article by one of my favorite bloggers, the Fast Food Maven. If you tweet, leave your Twitter name so I can follow you. 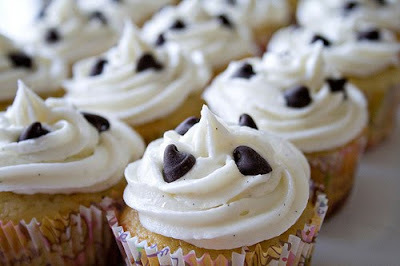 Today feels like a cupcake day! There seems to be a lot of cupcake news today or maybe I'm just happier than usual. According to Twitter, Big Man Bakes opens tonight. Their grand opening party is from 7:00pm-11:00pm. Unfortunately, I will be stuck at home cleaning tonight, but if you are in the LA area, I would suggest stopping by. Never tried them before, but I always welcome new cupcakeries. The end of summer means the beginning of fall TV. Since there's so much good stuff on TV, I'll be spending a little bit more time on the couch. I'm the type of person that likes to multitask. During LOST or The Office, you can also find me washing dishes or folding laundry. But I want a new hobby, so I asked Carrie, the craft guru, to teach me how to knit. She graciously invited me over for a kitting lesson and now I'm ready to knit scarves until my fingers fall off. 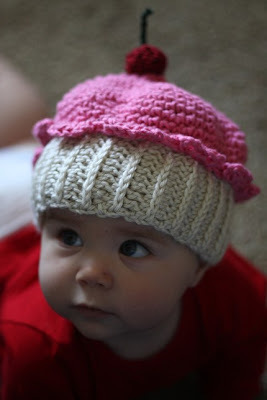 To give me something to aspire to, she emailed me a link to this crochet hit pink and vanilla cupcake hat beanie. This beanie is super cute, especially since the "model" is an adorable baby. Available on etsy for $25. I love seeing new products that make baking easier for me. My time always seems to be limited, so I was happy to come across this product -- Debbie Meyer CupCakeGenius 2-piece set. Ever seen a cupcake with filling in the middle? Well, there are two ways you can make the hole for the filling. 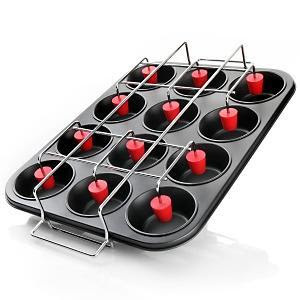 Either cut out a hole after the cupcakes are already baked or use a contraption like this. The silicone spacers form the holes as the cupcakes bake. This product is available from coolproducts.com for $19.90. I finally made it! I've been trying to get over to Sweet & Saucy Shop since it opened a few weeks ago. I've been drooling over, I mean following, Melody's blog (My Sweet and Saucy) for several months. Sometimes you can just tell when something will taste good, just by the way it looks. That's exactly how I felt about Sweet & Saucy's desserts. So after a morning of running at the beach, I headed down to Sweet & Saucy Shop in Long Beach. Let's start with the red velvet cake dipped in chocolate. Cake pops are the new, popular dessert. (I even made the cupcake version of the pops last year.) It's a brilliant idea for eating a small serving of cake in a new, fun way. These cake pops were red velvet and sooo good! The cake was moist and the chocolate was perfect. So far, so good. Next was the mini candy bar cupcake. Description: vanilla buttermilk cake, chocolate ganache filling, peanut butter cream cheese frosting, and salted caramel. This was my first experience with salted caramel. I've been dying to try a dessert with a salty flavor to go with it. Now, I don't know why I waited so long! And I can't forget to mention the chocolate ganache filling. I'm a firm believer that all cupcakes should have a filling. This filling was even more special because it was different than the frosting on top. The chocolate ganache was perfect! The combination of flavors (chocolate ganache, peanut butter, salted caramel) in this cupcake earned it the spot of my favorite cupcake. Next was the mini red velvet cupcake. This cupcake was exactly was I expected: red velvet cake and cream cheese frosting. And of course, it was delicious! Nothing more needs to be said. Last was the mini chocolate espresso cupcake. Description: chocolate cake, chocolate ganache filling, espresso, kahula cream cheese frosting, topped with chocolate crunchy pearls. I picked this cupcake to try because I love the kahula cream cheese pie from Marie Callender's. I was secretly hoping that this cupcake would be similar to the pie that I love so much. Even though the cupcake tasted different than the pie, I really, really enjoyed this cupcake. Of course I loved the ganache filling and the kahula cream cheese frosting was so good! Can this one be my favorite too? Summary: Sweet & Saucy Shop can be described with only one word: WOW! I knew it was going to be good and I love being right! Sweet & Saucy Shop doesn't just serve cupcakes and cake pops. You can also find mini desserts, cookies, and of course cakes. You can stop by for a quick, yummy treat or you can order any or all of these items for special events. 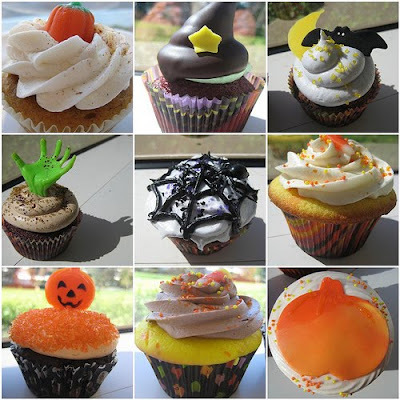 The regular-sized cupcakes are $3.00 each ($3.25 with filling) and the mini cupcakes range from $1.50-$2.00. It must have been the cupcakes! After getting out first win of the season (a forfeit by the other team), I promised my softball team cupcakes to celebrate. The sight of cupcakes must have motivated my team because we got our first REAL win of the season last week. We are on a roll, two wins in a row! Let me tell you about the cupcakes I made. I found a recipe for peanut butter and banana cupcakes. The recipe asked for 2 cups self-rising flour. I have to admit that I had never heard of self-rising flour before. I assumed that all flour was self-rising. I used my normal all-purpose flour. Well, the cupcakes turned out very dense and they didn't rise much. I frosted them with milk chocolate frosting. Even though I thought they tasted great I worried that no one would like my cupcakes because of how heavy they were. I was wrong (thank goodness). Everyone loved the cupcakes so much that I've been requested to bring treats again to our last softball game. But there is a lesson to be learned here: how to make self-rising flour. For each cup of all-purpose flour, add 1-1/2 teaspoons of baking powder and 1/2 teaspoon of salt. Three years ago my family discovered cruising. We started with Alaska, then migrated to the Caribbean the next year. We love cruises because everything is provided for you. You don't even have to make your bed! Royal Caribbean is launching a new cruise ship at the end of this year called the Oasis of the Seas. Of course, this ship has to be bigger than the last, so it can hold 5400 guests. That's a lot of people! 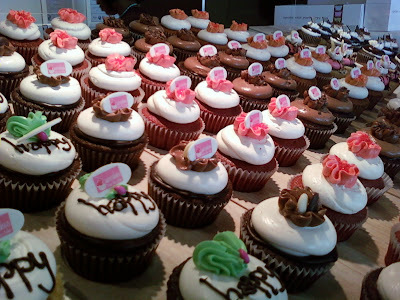 According to Leaisuregrouptravel.com, the Oasis of the Seas will introduce the first cupcake shop at sea! 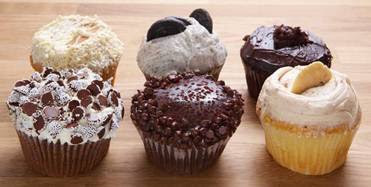 The Cupcake Cupboard will offer a variety of baked delicacies, including cupcakes. Cupcake decorating classes will also be offered. The cupcakes will be available for purchase at a la carte pricing. Since most of the food on a cruise is unlimited and free, I usually spend a lot of time at the on-board gym to balance out the effect. Now, with cupcakes available, I don't know what I'm going to do! Can't wait to hear more details about this.